Dimensions 1 by 8 by 10.25 in. 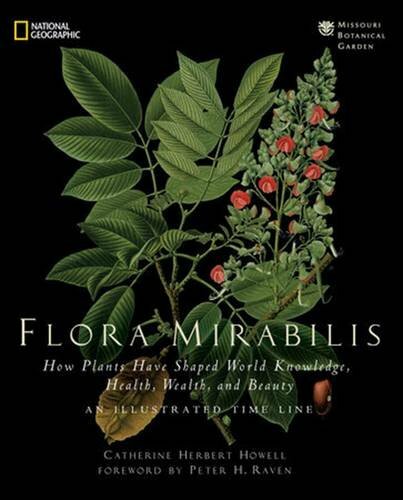 Amazon.com description: Product Description: A sumptuous showcase of superb illustrations paired with fascinating stories of botanical exploration and trade through the ages, this book will be an evergreen delight. A collaboration between National Geographic and the world-renowned Missouri Botanical Garden, this book blossoms with legend and lore as it culls the most engrossing mysteries and adventures of plant exploration, science, and discovery and garlands them with astonishingly beautiful illustrations. The pages are abloom with the rich details and engaging allure of beloved flowers, stunning gardens, ancient trees, medicinal herbs, and valuable plants of all varieties from around the world. Unique "plant profiles" chronicle the especially remarkable roles each plant has played in matters of economics, politics, and taste. Illustrated throughout with never-before-published collector's edition reproductions and introduced with an eloquent foreword by Peter H. Raven, president of the Missouri Botanical Garden, this stunning volume will catch eyes and flower in imaginations everywhere. About: A sumptuous showcase of superb illustrations paired with fascinating stories of botanical exploration and trade through the ages, this book will be an evergreen delight.